Decisions are made based on the information you have available at the time. You rely on that information being truthful and timely – information that you can trust to serve as an accurate base on which to make a choice and implement change! Businesses often use spreadsheets and static reports that are painstakingly crafted to provide some visuals – easily read graphics – that give a quick overview or status of a situation. These are flawed, the information is old, static and the reports are managed by a few experts who have the knowledge to support them. Often it is the case that reporting happens on a regular basis. Data is collected from various sources, collated into a file or a pack which is then published to a group who have the authority to make decisions based on what is presented to them. There are a number of challenges with this approach – the reports are out of date – the data used to make the report is at least a month old – time and business has moved on already. The report data has been adjusted by those collecting and collating it. People will change data before it reaches a report to present a different picture rather than the truth. OfficeLabs bring the Power BI reporting platform to data stores both in and outside SharePoint. We connect data from multiple places and create easy to use, responsive and real-time ‘live’ reports that can be made available to stake holders, staff, decision makers and partners. OfficeLabs improve the entire reporting process by changing the way information is collected and held for reporting. Data stays in-place and doesn’t have to be collected and collated – removing manual steps and freeing up resources. 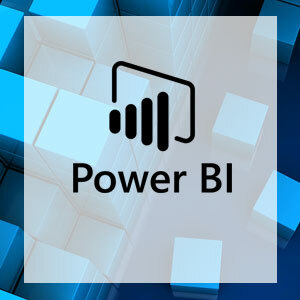 The reports are up to date, relevant and truthful – by using Power BI the business has reports that haven’t been modified to paint a different picture or to influence a decision – choices are made based on facts as they are happening. The reports are interactive and allow for deep diving into the data. It is no longer the case that if you need to see a different layer you need to design a separate report. This again saves time and provides the information to the decision makers. For staff – open reports can be published and shared on a SharePoint site to communicate messages and give real feedback on performance and how their efforts directly impact the way the business performs and improves engagement. Business intelligence can join up data from multiple stores – bringing information together allowing for a joined-up picture of how separate parts of the business are working, showing correlation, trends and analysis of comparison data. There are hundreds of connectors that OfficeLabs use to bring data from all of your data stores whether in the cloud or on-premises. Power BI brings reporting to legacy applications that do not have a reporting ability. The power of good reporting can give transparency to business activity – show improvement opportunities and how change is impacting the business. How do you make decisions without knowing all the facts? These are just some of the benefits Microsoft Power BI can offer your company. When you book an appointment with an OfficeLabs consultant, they will talk to you in depth about your business needs, and how best to utilise Power BI. Remember, Power BI is just one tool in the Office 365 suite — OfficeLabs will ensure you get the most out of each application. Making sure your business runs as smoothly and efficiently as possible is why OfficeLabs has been chosen by both FTSE 250 companies and huge public sector bodies, and our no-jargon approach will let you talk to us with confidence about your requirements.